Have you ever dreamt of sleeping soundly in bed surrounded by cute anime girls? Of course you have! Now you can make that dream a reality at the Nihonbashi Muromachi Bay Capsule Hotel in Tokyo. 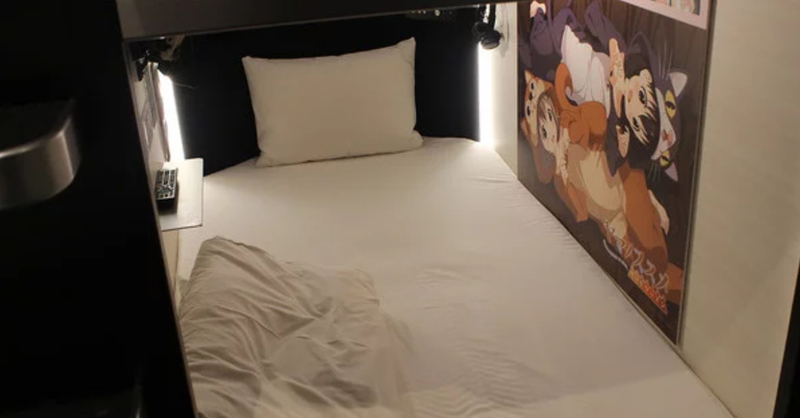 The hotel is offering guests pod rooms themed with the anime Encouragement of Climb. There are 12 themed rooms in the Hotel, and they’ll be available until August 13, just in time for the Summer Comiket 2018 this August 10-12. 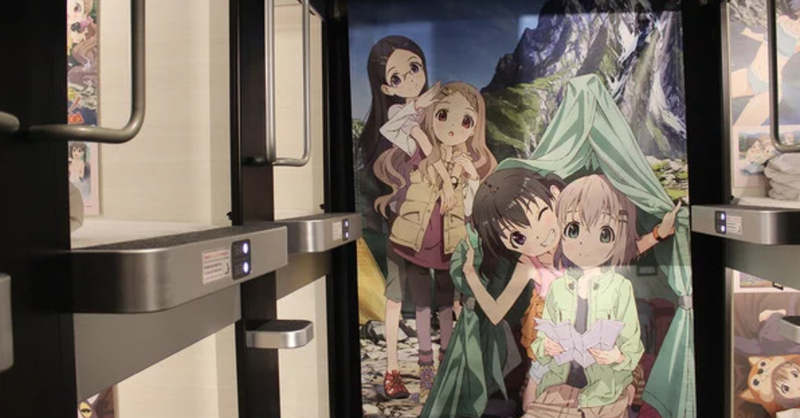 Each room will look very much like a typical capsule room, but with images of the Encouragement of Climb characters. Each Encouragement of Climb pod will cost between 6,500-9,000 yen (58-81 USD) per night. 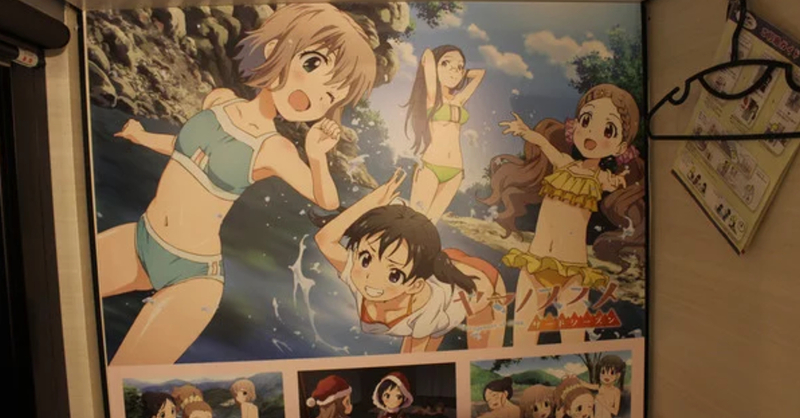 Booking a themed pod will also come with anime-themed freebies. Sadly, all pods are located in the male section of the hotel, so this means girls won’t be able to book these pods. At least the hotel’s common area features an Encouragement of Climb theme as well. 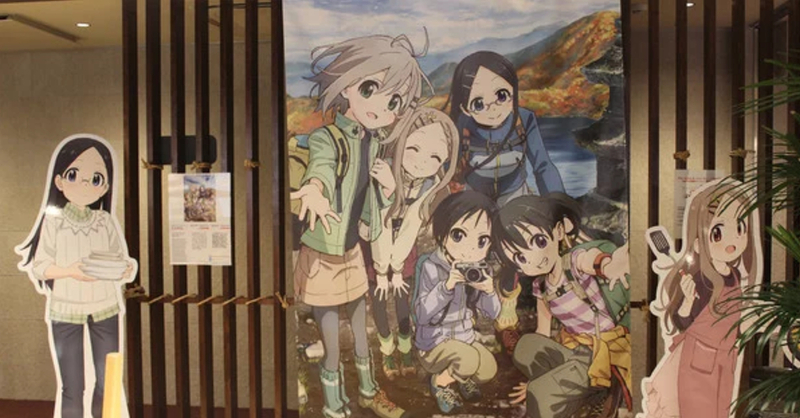 For those unfamiliar with the anime, Encouragement of Climb is a slice-of-life series about a group of high school girls on a mountaineering adventure across Japan. The series first aired in 2013, and is now on its third season. If you’re not going to Japan anytime this weekend, you can still try your luck at other hotels or AirBnBs in Tokyo. 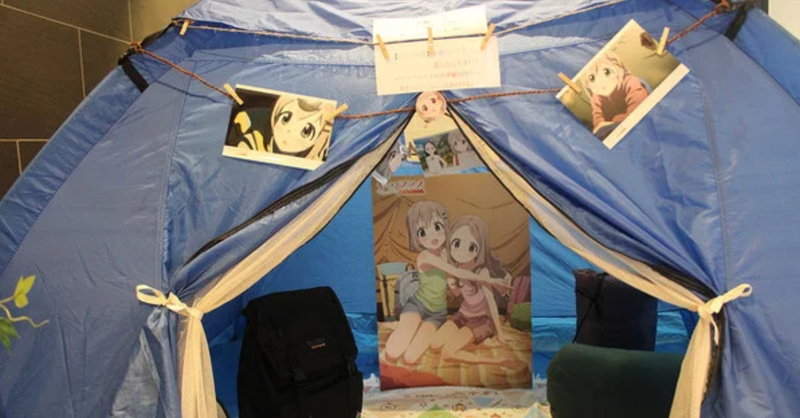 You may even luck out on waifu-themed AirBnB just like we did last Tokyo Game Show 2016!